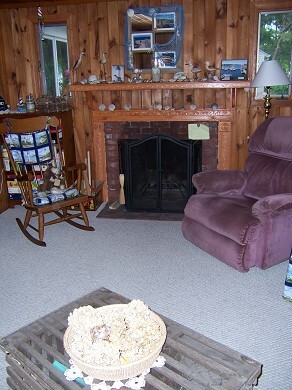 Great BASS RIVER location, Pet Friendly and close to the beach. 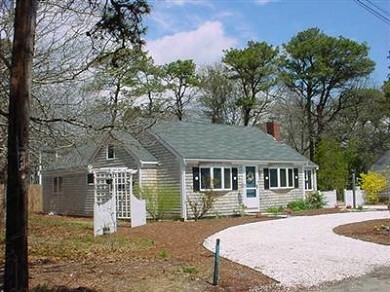 This charming ''L-Shaped'' Cape is located south of Rte 28 in the sought after Bass River area of South Yarmouth. This home is clean, spacious and comfortable! Home features a Great Room (surrounded with windows so it has great breeze!) with vaulted, cathedral ceilings, living room with fireplace, fully equipped kitchen, 2 spacious bedrooms and one bathroom. The master bedroom has 1 Queen-sized bed and a large closet. The 2nd bedroom has one Queen-size bed and two Twin-size beds and a large walk-in closet. This home is light, bright and spacious and located on a quiet, dead-end street close to beaches, restaurants, shopping, entertainment and all amenities. No smoking allowed. Pets considered (pet fee)and there is a 10x10x6 dog kennel located in a shady location on the side of the house. Free internet. Cable TV, outdoor grill, beach chairs, boogy boards and more (Inquire about 2 bicycle rentals and 1 kayak for the week). Please contact us with questions and for rental contract. Spend your vacation at Sycamore Way! It's easy to find - but hard to leave! Long-Term Rental (1 month or more): Long term rentals considered. Additional pricing info: $100 off if booked by April 31, State and local taxes of 14.45% will apply. Living space, bedrooms, laundry all on first floor in this 1 story "L"-shaped roomy ranch. Only 1 step to enter into home. Driveway is a seashell driveway. Looking for a cottage within walking or cycling distance of grocery store and activities for young children? Cycle to the Bass River beach in 10 minutes. We were comfortable at this rental and only used the cars for shopping or bigger grocery purchases. The 2 bedrooms are suites because they are big. Charming home away from home, and the small front patio was a favourite gathering spot after supper. Would recommend to anyone with 2 families (8 people). Plenty of room for the dog also! Beautiful home and accessible to more than you could hope for. Quiet street, very clean welcoming, and comfortable. Plenty of windows, plenty of room. Two adults, four grandkids 11-19, and a dog........lots of room. Had a few visitors, everyone loved it. Owner makes everything easy. Can't wait to go back next year. Great location! Walking distance to the beach, shopping, and fun things to do. The house is much larger than it looks from the outside. The bedrooms are huge! Lots of windows provide great ventilation. We love staying here! This really is our home away from home! Thank you, Joanne and Doris! This is our third year staying here and we love it! It is conveniently located so that you can walk or bike to nearby stores and the beach. We have friends staying with us and we all can't wait until we return. It has become an annual event! The house is roomy and comfortable. We cook on the grill, and the picnic table is great. Highly recommended!! Thank you, Becky, for the wonderful review. We are so happy that you love our home and return every year. 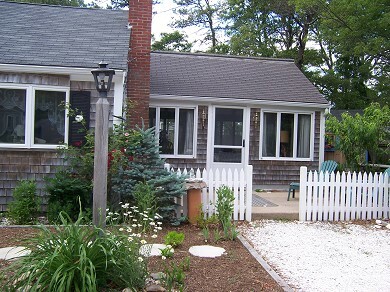 I am happy to hear that you enjoyed your stay at our house on Cape Cod. Thank you for the 5 star review.